Final answer? 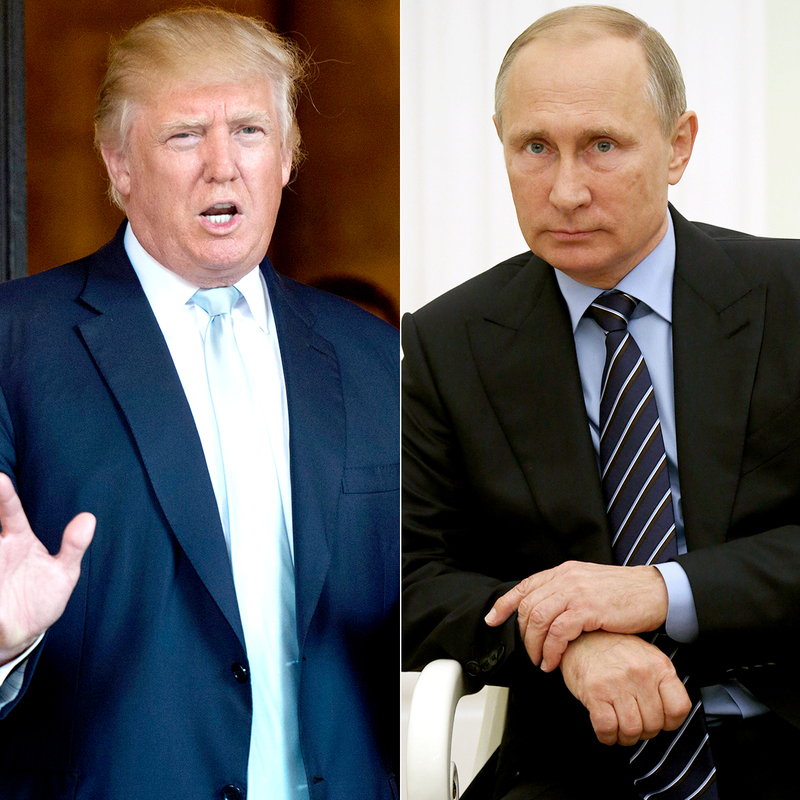 Less than four years before Donald Trump denied having any links to Russia, the president-elect said he had a relationship with the nation&apos;s president, Vladimir Putin. In a resurfaced November 2013 interview (watch in the video above), which was filmed in Moscow ahead of a Miss Universe contest, MSNBC&apos;s Thomas Roberts asked Trump, "Do you have a relationship with Vladimir Putin? A conversational relationship or anything that you feel you have sway or influence over his government?" "I do a have relationship," the real estate mogul, now 70, replied. "And I can tell you that he&apos;s very interested in what we&apos;re doing here today. He&apos;s probably very interested in what you and I am saying today, and I&apos;m sure he&apos;s going to be seeing it in some form. But I do have a relationship with him." "Look, he&apos;s done a very good job in terms of what he represents and who he&apos;s representing," Trump continued. "If you look at what he&apos;s done with Syria, if you look at so many of the different things, he has really eaten our president&apos;s lunch. Let&apos;s not kid ourselves. He&apos;s done an amazing job. … He&apos;s put himself at the forefront of the world as a leader in a short period of time. … I think that Putin has done an amazing job of showing certain leadership that our people have not been able to match." Fast-forward four years and the former Celebrity Apprentice host — who will be inaugurated in Washington, D.C., on January 20 — has denied ties to the largest country in the world following the release of a compromising, unverified report, which detailed Trump&apos;s alleged "perverted sexual acts," such as hiring prostitutes to perform "golden showers." "Russia has never tried to use leverage over me," Trump wrote on Twitter on Wednesday, January 11, a day after the BuzzFeed report was released. "I HAVE NOTHING TO DO WITH RUSSIA – NO DEALS, NO LOANS, NO NOTHING!" "I win an election easily, a great &apos;movement&apos; is verified, and crooked opponents try to belittle our victory with FAKE NEWS," he continued. "A sorry state! Intelligence agencies should never have allowed this fake news to &apos;leak&apos; into the public. One last shot at me. Are we living in Nazi Germany?" Shortly after, the businessman held a press conference — his first in 167 days — and said he now believes Russia was behind the 2016 presidential election hack, which was carried out to denigrate Democratic candidate Hillary Clinton. Trump told reporters, "I think it was Russia."